Sophie from Sophie's Foodie Files passed on an award to me...the one where you have to tell everyone 7 things about yourself. Try not to be bored, please. :) I'll make it brief and I promise not to pass this on to 15 of you, but if you want to partake, feel free! 1. Michigan was my home until I was in my 30's and then I moved to Florida. I love northen Michigan in the fall and try to go up every year. 2. I have three children, a daughter and two sons. All of them are in their 50's. I also have two grandchildren one 19, one 5 and 1 step grandchild who made me a great grandmother a couple years ago. 3. Reading is my favorite pastime, cooking is a close second. My grandmother and mother were wonderful cooks. My grandmother and her sister owned a bakery in Detroit many years ago. 5. My sister is a better cook than I am, but she's not a blogger. She's inventive, I am not, but I love searching out new recipes. 6. I am terrified of flying but love to travel. I sedate myself to get on a plane. 7. My home is decorated in ocean colors, blue and white, with lots of shells around, but is filled with antique furniture. A native New Yorker, Elizabeth Andou was born to a family of doctors and attended the University of Michigan. She was studying anthropology when her adviser at U of M suggested she apply for a postgraduate fellowship in Japan. "At the time in the 1960s conducting academic study on food culture was pretty iffy. It wasn't very common. So one thing sort of led to another. The culinary experience didn't happen first. I got to Japan and was beyond intrigued. I was really drawn in by what I was experiencing and a great deal of it had to do with food. If I had to think of a set of experiences that pushed me over the edge it was being in the Andoh household." Andoh’s first Japanese home was in Kanonji, a coastal township on the island of Shikoku, where water was pulled from a well and there was no such thing as an electric rice cooker. That summer many years ago she had her first lesson in making udon noodles under the guidance of Kiyoko Andoh, the diminutive but energetic woman who, several years later, would become her mother-in-law. Many of Elizabeth Andoh's techniques are traditional, authentic and some would say, old-fashioned. But it was how she learned. Elizabeth's formal culinary training was taken at the Yanagihara School of Traditional Japanese Cuisine, in Tokyo. She says now : " I'm beyond embarrassment over the fact that I grew up in a household in NYC that used instant rice." She married into the Andoh family, a traditional Japanese family, and she had to quickly learn to adapt. She was so successful that she has devoted her life to helping other expats – and by extension, Japanese food enthusiasts – the world over. In 1972, she began her own culinary arts program, A Taste of Culture, which combines spicy tidbits of food lore with practical tips and skill-building lessons on how to prepare Japanese food. Her programs are conducted in Japan (Tokyo & Osaka) and offer a unique opportunity for foreign residents and visitors from overseas to explore and enjoy Japan's culture through its food. Andoh is widely regarded as the leading English-language expert on washoku cooking. This is a focus on the harmony of food. Meals prepared washoku-style focus on five basic principles which culminate in a beautifully presented, delicious plate. Harmony in color, harmony in palate, harmony in cooking method, harmony in the senses and harmony in the outlook. The Washoku Cookbook is available HERE. Andoh also has a washoku webpage. She has recently written a book on Kansha cooking, available at Amazon. This is now her default cooking mode. The notion of Kansha was simultaneous to that of Washoku, but she was afraid that the world was not ready for Kansha, so Washoku came first. Kansha is not based on location and ingredients. It is more an approach, a mindset. Kansha is about celebrating abundance and being happy for what you have. 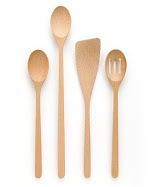 Vegetable peels can be turned into stock. Nothing goes to waste in the Kansha kitchen. "The philosophy of kanshaw is based on three guidelines. One has to do with color, one with flavor and one with the transformation of ingredients. The colors are green, red, yellow, black and white. Every meal includes them. For example, things that are yellow are usually rich in vitamin C and carotene; green contains vitamin A and iron. The color principle is the one people catch onto the quickest." For more informatiion, she has a Kanshaw webpage. Andoh publishes an electronic newsletter about 6 times a year. Recipes can be downloaded and printed out, making it easy for subscribers to take into the kitchen when they cook. A Taste of Culture's newsletters are free-of-charge, though permission-based. To subscribe, fill out the form on the home page of Taste of Culture. Elizabeth has now lived in Japan for 40 years and is very much at home there. She is regarded as a culinary expert, speaking at cultural and food industry symposiums and events, writing papers and conducting research about all aspects of Japanese food. She covered Japan for Gourmet Magazine and has written for the New York Times Travel section. A list of Andoh's cookbooks is HERE. One thing Andoh has learned along the way is that traditional dishes often disappear during periods of upheaval — like right now. It has been over one year since the triple crisis — the earthquake, tsunami and nuclear accident — pummeled Japan. Andoh decided to help by raising money doing what she does best: publishing a cookbook. Her book, Kibo, Brimming with Hope, has been released in digital form only, with half the proceeds going to the recovery of Tohoku. To feature Elizabeth, I decided against a vegetarian dish. She herself is not a vegetarian, but it certainly comprises a big part of her cooking. Instead, I found a ginger chicken recipe I thought some guests I was having might enjoy. It's a simple dish, the chicken unbelievably melt-in-your-mouth tender inside with a lovely crisp outside. Marinating it all day was the key to great flavor. The lemon squeezed on top was all it needed. We loved it. Mix flour, cornstarch, salt, and pepper in second shallow bowl. Coat chicken, one piece at at time, with flour mixture and shake off excess flour. Place 24 pieces on plate and let stand 5 minutes. Heat 2 inches of oil in heavy pan or deep fryer to 350 degrees. 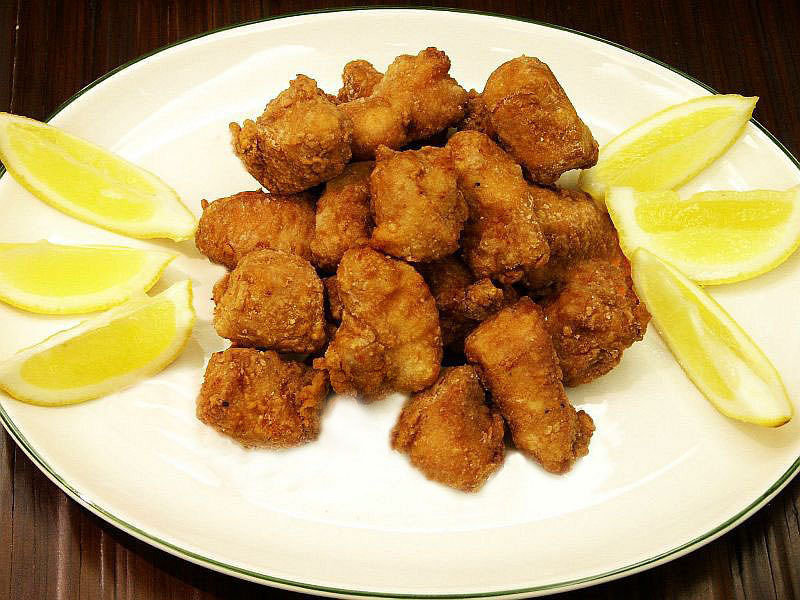 Fry chicken, 4-5 pieces at a time, in oil for less than a minute. Transfer to paper towels to drain. Reduce heat of oil to 325 degrees. Fry chicken again, 6-7 pieces at a time, 3-4 minutes. Drain on paper towels. Serve hot or at room temperature with lemon wedges. Sophie Dahl's cookbook is loaded with little gems and is one of my favorites. I'm going to post a couple recipes from it in the next few weeks because she has a new cookbook coming out in April and the recipes I have marked to try in this one will get lost in the shuffle. If you like her as much as I do, you can preorder it HERE. This lovely cake is a burst of orange flavor, light as air even with the polenta and ground almonds in it. The glaze on top is a must if you're serving this for dessert, but for tea, you'll prefer it without the lemon topping. Her recipes are a such snap to make. Preheat oven to 350. Grease and line the bottom of a 9 inch cake pan with parchment paper. Beat the butter with the sugar and add the eggs, one at a time. In another bowl, mix the spelt and self rising flour. Add to the egg mixture. Then whisk in the polenta, ground almonds, yogurt, honey, orange juice and zest. Pour into the pan and bake for 45 minutes. Test with a skewer and bake longer, if necessary. 45 minutes was just right for my oven. If you like, you can glaze with a simple lemon glaze. Mix together and pour over the cake while it is still warm. 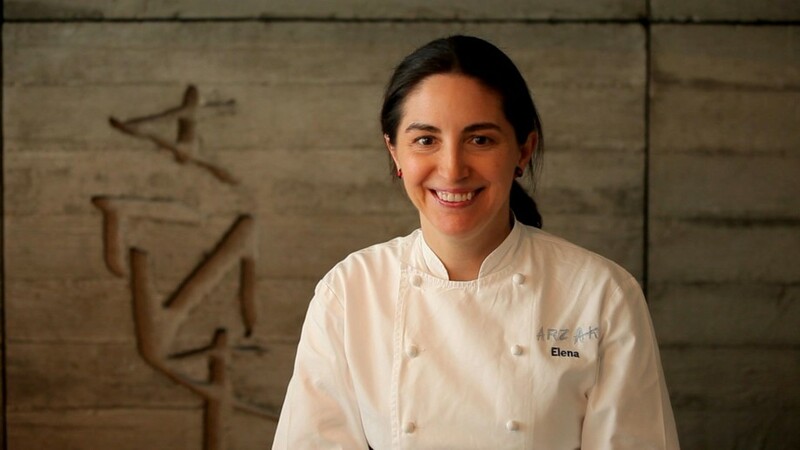 Elena Arzak is the third generation of chefs to work at restaurant Arzak in the Basque city of San Sebastian in Spain. She started working during the summer when she was 11. "I was the one doing the dirty work, like cleaning squid," she says. It is a family of chefs. Her grandmother was a chef, her mother ran the accounts and an aunt was also a chef. Elena says San Sebastian is very matriarchal and there are lots of female chefs. In 1989, her father sent her abroad abroad, first for a diploma from a fancy Swiss hostelry school, then for stints with members of the Michelin all-star fraternity. She went to work at Le Gavroche in the UK. She was young, but learned a lot, not only about cooking, but about British life. However: "Here I was in 1989," Elena muses, "doing this classic French food at La Gavroche, in London, thinking how sophisticated it was--totally out of touch with what was happening at Arzak and in the rest of Spain." What was happening in Spain was Ferran Adrià, the Catalan visionary who forever changed the way Spanish chefs look at food. In fact, her father sent Elena to do a stint at Adrià's restaurant El Bulli. But instead of following in Adria's footsteps, Elena discovered what she wanted was to reconnect with her Basque roots. "I knew nothing about my culture's cuisine, so I tasted endlessly and read old cookbooks," she says. She returned to San Sebastian to work with her father. The Basque gastronomic culture has its own code of flavors, a sort of heritage that has been built up over the centuries. The important thing about working with her father is that he encourages everyone to develop their own recipes. Elena is adamant about acknowledging her debt to her father. "Paradoxically, his greatest influence on me was to leave me alone to develop my own vision," she explains. "I went through a phase of sticking bay leaves into everything, and he'd just smile." Even though her father is not cooking as much as usual, father and daughter meet daily and Elena presents her ideas and dishes they talk about them. "I'm into agar and chamomile flowers; he goes for hake and parsley. He always wants to clutter the plate. I like clarity," Elena says, laughing. He's ebullient, she's composed. One would never know she's into black leather jackets, scooters and rock concerts! Elena may now be the pillar of Arzak's operations, but otherwise the restaurant is the same, the décor is the same, even the staff is the same. Though her father remains intimately involved in the restaurant and works in tandem with his daughter, Elena Arzak is the one who is now the driving force of creativity within the restaurant. Elena remains very modest: An interviewer mentioned to Elena that she considered her the most exciting woman chef on the planet. Elena shook her head furiously and implored her not to publish such nonsense. But there's no denying: "The menu stays interesting because Arzak's daughter Elena arrives early each morning to create new dishes for him (her father) to try." The Arzaks live their own "Arzak fusion" of tradition and innovation. "She is 43 and he is 69, but they have a professional symbiosis. In 2011, Elena was nominated for best female chef by the San Pellegrino Awards. The same awarding body awarded Juan Mari Arzak a lifetime achievement award. In fact, Arzak has been in the top 10 ranking of the World’s Top 50 Best Restaurant Awards and is ranked number 8 for 2011. 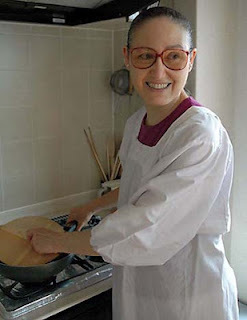 There are precious few Elena Arzak recipes available so I turned to Basque recipes in general. One of the most popular dessert dishes seems to be Gâteau Basque. I remembered having seen a recipe for this in Dorie Greenspan's book, Around My French Table, so I pulled the book out to investigate. The French word "gâteau" means cake. But interestingly, this is NOT a cake. Basically, it's a filling between two cookies, but made in cake form and cut like a cake. 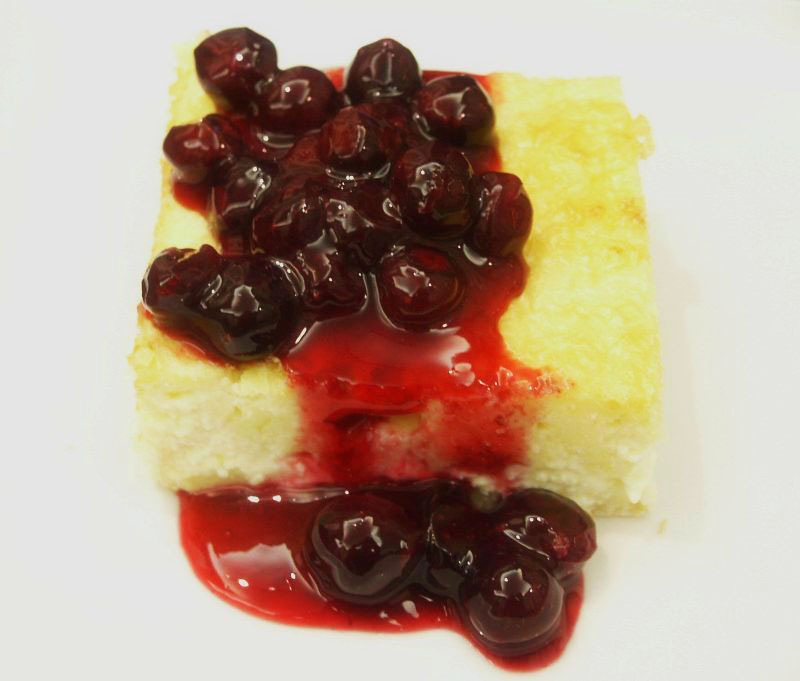 Traditionally, it's made with a filling of brandied cherries and pastry cream. You can buy the cherries at Amazon, but I used a dark cherry jam. If you use only jam as Dorie does, it certainly makes it simpler to serve, store and perhaps take to a picnic, but I wanted to make it as close to the original Basque recipe as I could, so I included the pastry cream. Whisk together the flour, baking powder and salt and keep at hand. Working in a mixer fitted with the paddle attachment or in a bowl with a hand mixer, beat the butter and both sugars together on medium speed for about 3 minutes, or until smooth. Add the egg and beat another 2 minutes or so, scraping down the sides of the bowl as needed. The mixture may look curdled, but that's OK. Add vanilla and mix for about a minute more. Then reduce the mixer speed to low and add the dry ingredients in two or three additions, mixing only until they're fully incorporated into the dough. Place a large sheet of parchment paper on your work surface and put half of the very soft and sticky dough in the center of the sheet. Cover with another piece of parchment paper, then roll the dough into a circle just a little larger than 8 inches in diameter. As you're rolling, turn the dough over and lift the plastic or paper frequently, so that you don't roll it into the dough and form creases. Repeat with the other half of the dough. Remove the layers from the refrigerator and let them rest on the counter for a couple of minutes before peeling away the paper. Fit one layer into the pan — if it breaks, just press the pieces together. If there's a little extra dough running up the sides of the pan, you can either fold it over the bottom layer or cut it so that it's even. Moisten the bare ring of dough with a little water and then top with the second piece of dough, pressing down around the edges to seal it. If you'd like, you can work your finger between the top dough and the edge of the pan, so that you tuck the dough under a little. Because of the softness of the dough and the baking powder, even if you only press the layers together very lightly, they'll fuse as they bake. And, no matter how well you press them together, it seems inevitable that a little of the filling will escape. Brush the top of the dough with the egg glaze and use the tips of the tines of a fork to etch a cross-hatch pattern across the top. Bake the cake for 40 to 45 minutes, or until the top is golden brown. Transfer the cake to a cooling rack and let it rest for 5 minutes before carefully running a blunt knife around the edges of the cake. Turn the cake over onto a cooling rack and then quickly and carefully invert it onto another rack so that it can cool to room temperature right side up. Storing: Wrapped well, the jam-filled cake will keep for a day or so at room temperature. You can also keep the cream-filled cake overnight, but it will need to be refrigerated. However, because refrigeration can dry cakes, I think it's best to serve the cream-filled cake the day it is made. Whisk in the vanilla extract. Let sit for 5 minutes, then whisk in the bits of butter, stirring until they are full incorporated and the pastry cream is smooth and silky. Scrape the cream into a bowl. You can press a piece of plastic wrap against the surface of the cream to create an airtight seal and refrigerate the pastry cream until cold or, if you want to cool it quickly–as I always do–put the bowl into a larger bowl filled with ice cubes and cold water, and stir the pastry cream occasionally until it is thoroughly chilled, about 20 minutes. These were seriously fabulous. The jasmine tea flavor is definitely there, but delicate. The grapefruit curd? You'll want it on everything! Only a teaspoon goes in the shortbread sandwich because if you put on more, it will ooze out when you bite into it. On some, I just took one cookie and spread the curd on it and ate it open faced. 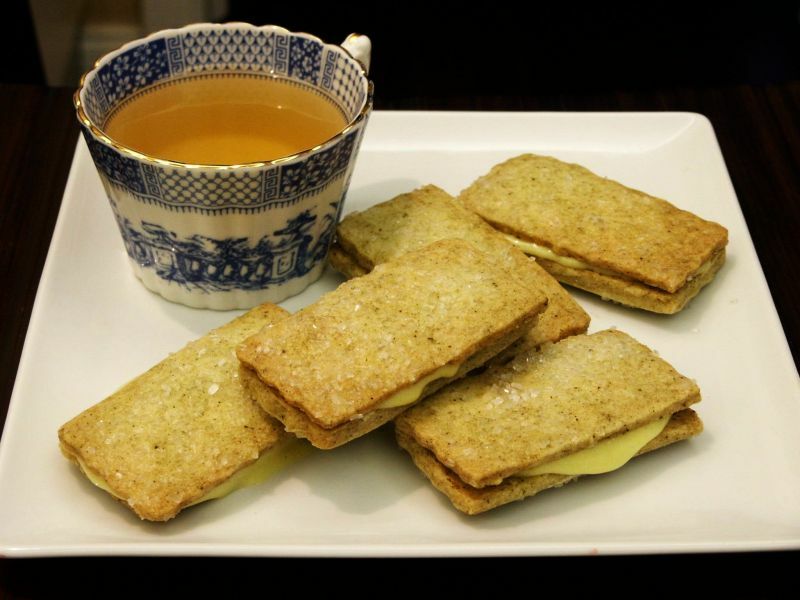 But for company, you'll like the tea sandwich look of these cookies. I'll be making these again; you guessed it.....for my Garden Club group. 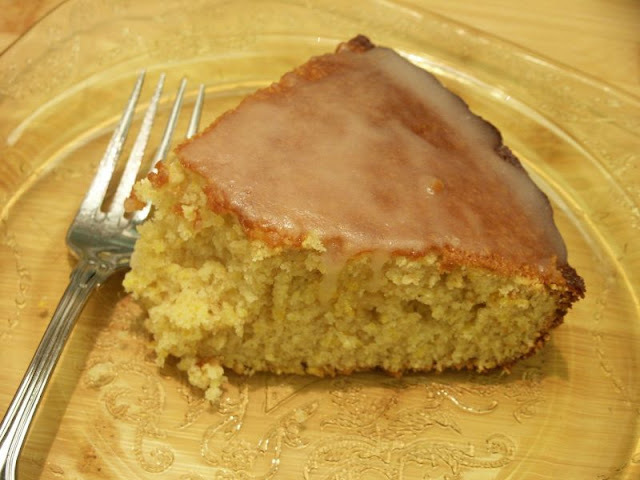 In an electric mixer, beat together the butter and confectioners sugar until smooth, about 3 minutes. Beat in vanilla. Add flour, 1/2 teaspoon salt and the tea. Beat on low speed until just combined. Do not overmix. Form the dough into two disks, wrap them in plastic wrap and refrigerate an hour or up to overnight. Preheat oven to 325. Roll out a disk between two sheets of parchment paper until it is 1/8 inch thick. Put in the freezer for 10 minutes. With a 2 1/2 inch cookie cutter, cut out squares. Then, with a knife, cut the squares in half. Gently press one side in sanding sugar and bake sugar side up on parchment paper for 16 to 18 minutes or until pale gold. Cool on a rack. Place 1 generous teaspoon of the grapefruit curd on the unsugared side and sandwich the cookie with the other half. Bring grapefruit juice to a boil in a small saucepan. Reduce heat and simmer until juice is reduced by half. Let cool. Whisk together the eggs, egg yolks, sugar, zest and a pinch of salt in a double boiler over simmering water. Cook, whisking constantly, until thickened, about 6-7 minutes. Remove from heat and add butter, piece by piece. Pour mixture through a fine sieve, set over ice water and stir until cool or refrigerate until cold, at least 4 hours and up to 2 days. 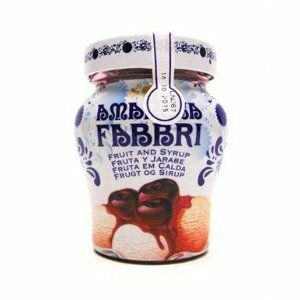 This makes two cups of curd, way more than you will need for the cookies, so you can reduce the recipe accordingly. Our Game Changer group did Darina Allen recently and I ran across her recipe for Champ. 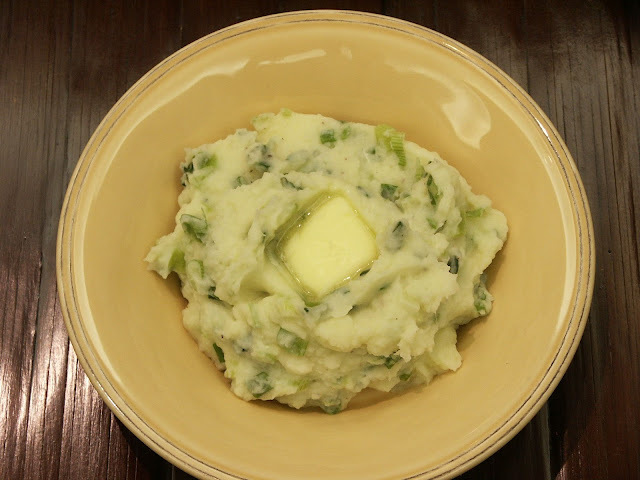 Hard to believe I'd never made this....what could be a simpler way to spruce up mashed potatoes? I used Yukon Gold potatoes and scallions. But you could use kale, parsley, chives, peas or a cabbage like Savoy instead of scallions. Doesn't the photo tell the story? The next night, I made it into little pancakes, coated it with panko and fried them. Naughty me. Scrub the potatoes and boil them in their jackets. Finely chop the scallions. Cover the scallions with cold milk and bring slowly to a boil. Simmer for about 3 to 4 minutes, then turn off the heat and leave to infuse. Peel and mash the freshly boiled potatoes and, while hot, mix with the boiling milk and scallions. Beat in some of the butter. Season to taste with salt and freshly ground pepper. Serve in one large or four individual bowls with a knob of butter melting in the center. Champ may be put aside and reheated later in a moderate oven at 350°F. Cover with foil while it reheats so that it doesn't get a skin. I'm posting this week's game-changer Ina Garten a day in advance. 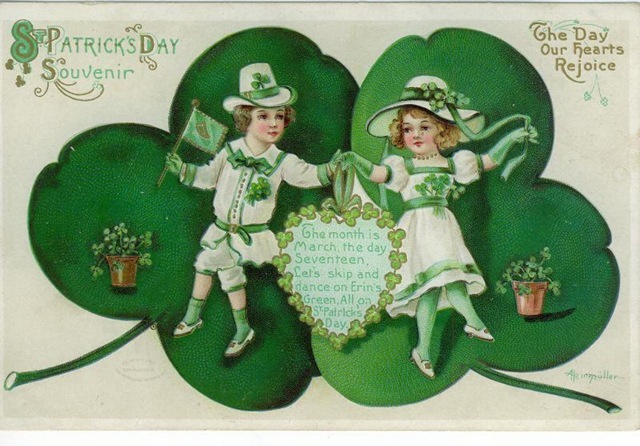 I'll leave it up today and tomorrow and then post Darina Allen's Champ for St. Patrick's Day. I also thought I'd do this week's game changer a bit differently. Her story is out there on the net everywhere and most of us are familiar with her. 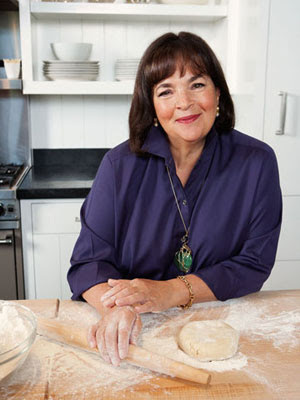 Ina Garten was born Ina Rosenberg, in Brooklyn, New York, and raised in Stamford, Connecticut. Garten's mother refused her daughter's requests to assist her in the kitchen and instead directed her to concentrate on schoolwork. She met her husband, Jeffrey Garten, while visiting Dartmouth College. They married in 1968 and spent 4 years at Fort Bragg (Ina filled her time dabbling at cooking and actually got her pilot's license) while Jeffrey completed his military duty. Then they spent four months camping out in France. Ina has described this as the beginning of her love for French cuisine. Returning to Washington, she honed her cooking skills, finished her schooling (got her MBA) and ended up working in the White House from 1974 to 1978 during the Ford and Carter administrations. She worked in the Office of Management and Budget on nuclear energy issues. But she was not entirely happy with this work so on weekends, Ina threw dinner parties and soirées at her home and in her spare time, she bought, refurbished, and resold homes for profit. This gave her the seed money to buy a specialty food store in the Hamptons in New York. The store was named Barefoot Contessa. And the rest is history. Cookbooks, Food Network, you name it. You might like to read this older interview with Ina Garten. It's good background. I found yet another interview in which she gave some wonderful advice on dinner parties. So true. I loved it. 1. "Simplicity is the key. The simpler it is, the more elegant -- like a great couturier dress." 2. "Entertaining is about connecting with people. It's not about the dinner, it's about the friends." 3. "It's not about impressing, but about making people feel good." 4. "I don't care who they are, when faced with a coconut cupcake, everyone's the same. Remember this about your guests: You bring your fun in your pocket, and if you're not having fun, it's no one else's fault." 5. "I have to really like the guests too; otherwise I end up resenting them. It's a lot of work to entertain. I do a column in Martha Stewart Living called 'Entertaining Is Fun,' but the truth is, it's not that easy." Talk about recipe choices! No problem this week. Ina's one of my favorites and I've got her cookbooks, made and posted so many of her recipes I didn't know how to narrow it down to one. So I didn't. You're going to get a twofer today. One old, one I've never made before, but both brunch dishes. Don't you think brunches are the best? Fun giving them and fun going to one. 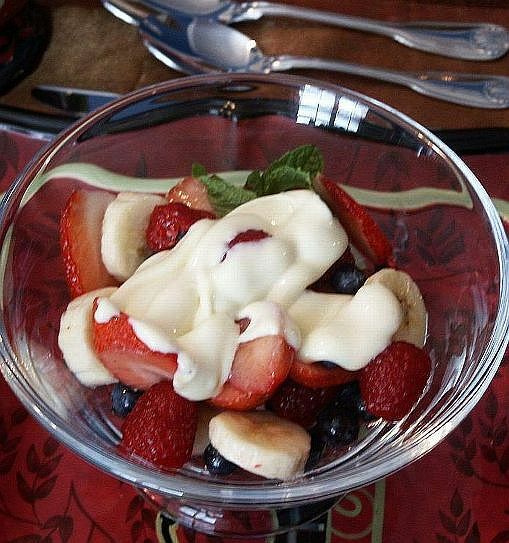 First, the fruit, which I serve every Christmas morning to rave reviews. It has become a tradition and the photo is taken right from our Christmas table. The topping is so simple and so delicious, you'll want to use it over fruit all year round. Be sure to always have a bowl of extra topping on the table. For the kids, skip the limoncello. This is a fabulous surprise treat if you've got houseguests. The second one, Ina's Baked Blintzes with Fresh Blueberry Sauce, is new to me. Thought it was a super idea to make blintzes in "bar" form rather than individually rolled up crepes, especially if you're entertaining. Unusual and delicious. The blueberry sauce would be wonderful over ice cream, it's that good. Serve bowls of fruit with a dollop of lemon yogurt on top. Top each with a sprig of fresh mint. Preheat the oven to 350 degrees. 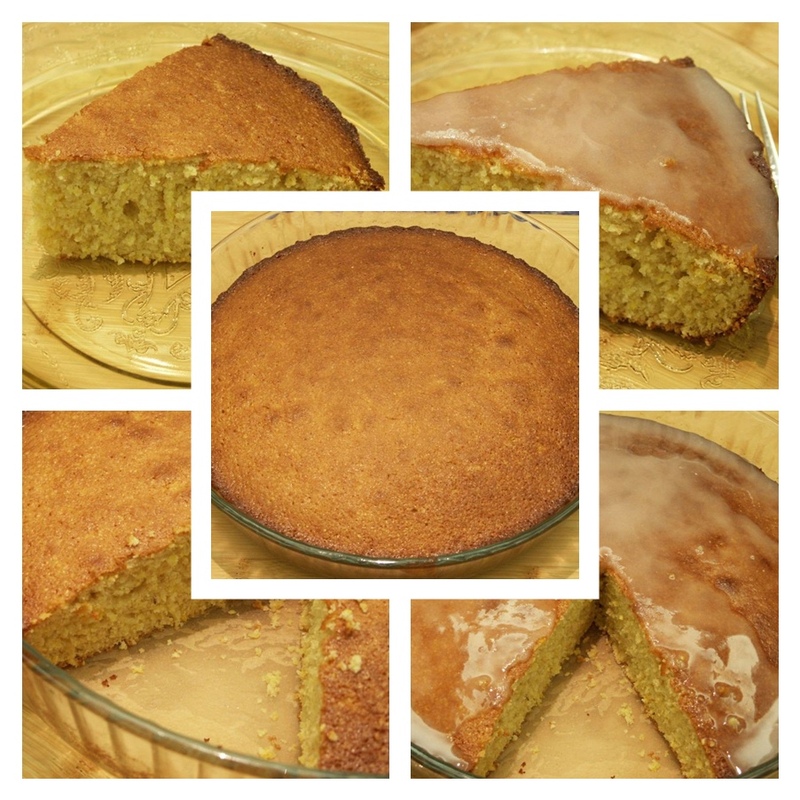 Butter a 9 by 13-inch cake pan or baking dish. For the batter, place all the ingredients in the bowl of a food processor fitted with the steel blade and blend until smooth. (You can also use a blender.) Pour half the batter (about 1 3/4 cups) into the prepared dish and bake for 10 minutes, until set. Meanwhile, for the filling, whisk together the ricotta, mascarpone, eggs, and sugar in a large bowl. Add the lemon zest, lemon juice, vanilla, and salt and mix until thoroughly combined. 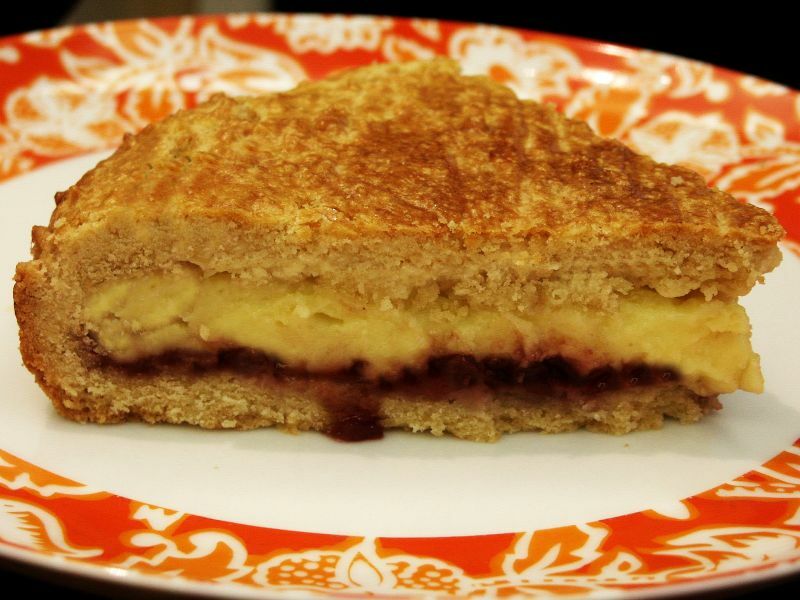 Spread the cheese filling over the baked pancake. Carefully spoon the remaining pancake batter to cover the cheese. Return the pan to the oven and continue baking for 35 to 40 minutes, until the top is lightly golden and the filling is almost set. Remove from the oven and allow to stand 10 to 15 minutes. Cut the blintzes in squares and serve warm with the fresh blueberry sauce. Combine the orange juice, sugar, and cornstarch in a medium saucepan and bring to a boil, stirring occasionally. When the mixture is translucent and thickened, stir in the blueberries and simmer for 4 to 5 minutes, just until a few berries have burst but most are still whole. Stir in the lemon zest and lemon juice and cool. Yield: Makes 2 cups. Mushrooms are one of my favorite things to eat and a mushroom ragout (or stew as it's referred to here) tops the list. I've always loved an old appetizer recipe I used to make, stuffing puff pastry with a mushroom ragout; it was made with Marsala though, which now that I think about it would make this dish even better. I consider this a comforting winter type meal, so decided to post it before warm weather arrives on everyone's doorstep. (Coming soon in your neighborhood, I hope!) Nice on a rainy day too. What's really fun here are the flatbreads. 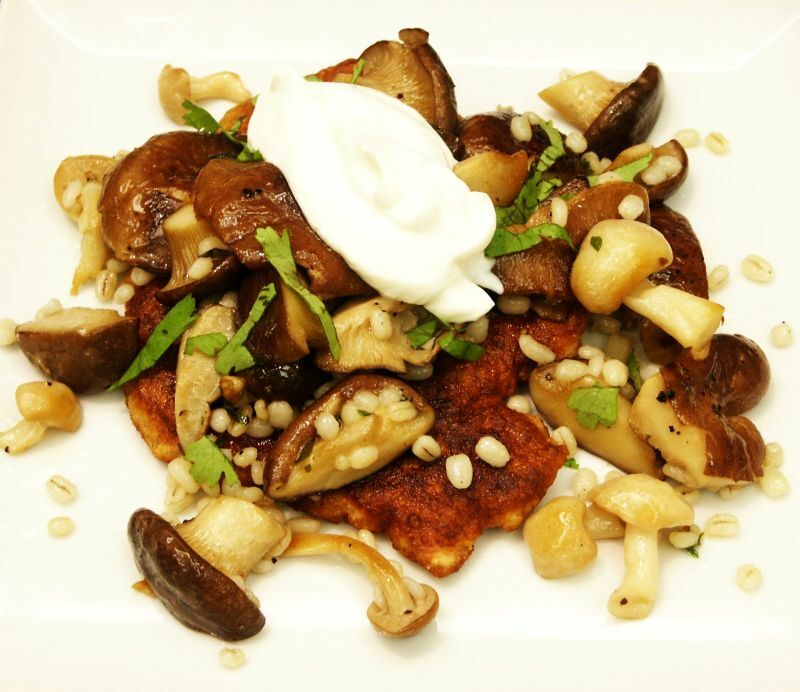 When I make a mushroom ragout I usually serve it over polenta or noodles, but the flatbread was unusual and such a surprise. Don't you love the barley addition? Start by making the flatbreads. Combine all the ingredients, apart from the butter, in a bowl and use your hands to mix them together to a dry dough; add more flour if needed. Knead the dough for a minute or so, until it is smooth and uniform. Wrap it in plastic wrap and chill for at least an hour. Meanwhile, make the mushroom stew. Rinse the barley with cold water, then place in a medium-sized saucepan and cover with fresh water. Simmer for 30-35 minutes, or until tender. Place the porcini in a bowl and pour over the lukewarm water, set aside. Put the fresh mushrooms in a hot heavy-based pan with the oil, half the butter and the thyme, and saute for 4 minutes, stirring occasionally. Once the mushrooms have softened, add the garlic and wine and allow to bubble away for 5 minutes. Next, add the porcini and their soaking liquid, you may have to strain the liquid to get rid of any grit left in the bowl. Season with salt and pepper. Simmer on low heat for about 10 minutes. Finally, stir in the remaining butter with the parsley, preserved lemon, lemon juice and cooked barley. You will now have a flavoursome mushroom stew with a thick sauce. Add more water if needed and taste for seasoning. Set aside; reheat before serving. When ready to make the flatbreads, divide your dough into six pieces Roll into balls, then flatten them with a rolling-pin into round discs about 1/2 inch thick. The directions in the book said 1 inch....think there was an error there. No way should these be 1 inch thick. Even 1/2 inch is a little thick. I made them pancake thickness. Heat some clarified butter in a non-stick pan and fry the flatbreads for about 2 minutes on each side, or until golden brown. Add more butter as you need it and keep the flatbreads warm as they are cooked. Darina Allen was brought up in the 50's, but she wanted a career that most women didn't even attempt back then. Just as she was about to graduate from a Hotel Management School, she turned to working in a restaurant kitchen instead of following the "normal" career path. She wanted to cook soufflés and terrines and learn how to work with herbs. She was ridiculed: not only was this too fussy, but chefs were all men and women were relegated to Tea Rooms. The only other option was to open your own restaurant. Luckily, an instructor had heard about a woman running her own country house restaurant who needed a chef. A few days later, the instructor handed Darina a piece of paper with the senior Mrs. Allen’s address; Darina contacted her. The restaurant owner really wanted a man in her kitchen, but none were applying. She settled for Darina and the rest is Irish culinary history. The woman who hired her? Myrtle Allen, and she was one of the rarities who DID open her own restaurant. She started a country house restaurant on the family’s farm in Shanagarry, County Cork. (She was to become Darina's mother in law.) The menu there still remains simple. People looked down their noses at what Myrtle Allen was doing. “It was considered downright amateurish,” says Darina. “She cooked like a ‘housewife’.” As it turned out, that’s exactly what people wanted. It’s still going strong over forty years later. This country house restaurant later expanded to become Ballymaloe House, the renowned Irish country house hotel. Darina came to this love of food naturally. it was what she was raised on. When she was growing up, one of nine children, in the village of Cullahill, County Laois, the family ate what they raised. They had a kitchen garden, raised a cow for milk and kept their own chickens. They supplemented this bounty with locally grown and produced foods. That’s how most country people ate in those pre-supermarket days and how some people in Ireland still do. Darina became a fixture in the Ballymaloe kitchen learning from her future mother-in-law. The food the older woman cooked “tasted wonderful,” she says; simple dishes that relied on the quality of the ingredients. In 1983, Darina and her now husband Tim Allen started the Ballymaloe Cookery School on a 100 acre farm a few miles from the hotel. To start with, it was purely an economical decision: “We had to look at what resources we had and what talents we had between us and try and earn a living in a different way. We were in the middle of a farm growing a lot of produce, so one of the obvious things was to start a cooking school." In its twenty-eight years, the school has grown in stature and repute, and now functions with both indoor and outdoor classrooms. The indoor classroom is the kitchen,and the outdoor classroom is the surrounding farm and gardens. Most of what is used in the school’s four teaching kitchens is raised on the farm; produce from the garden, eggs from the chickens, dairy from the resident cows. In Ireland, farmers’ markets are springing up around the country. When supermarkets became prevalent, the idea of buying locally lost out to the convenience of one-stop shopping and lower prices. Allen is responsible for the resurgence of farmer’s markets in Ireland. She, saw one in San Francisco in the mid-nineties and “ a light bulb went on. “We could do that here,” was her thought and so she got the ball rolling. The message that she wants people to hear is that “our food should be our medicine.” She feels it’s a matter of priorities. “We make time and money for what’s important. Food seems to be way down on the list.” She’s passionate about this and it’s contagious. So there are two lessons that Allen hopes to impart to her students and neither pertains to the act of cooking itself: “One is that all good food starts with really good quality produce. Even more so than that, basically it’s all about the soil, the fertility of the soil, the quality of the soil. Family is front and center in this busy woman’s life. Four generations of Allens live within about 15 minutes of each other. Daughter-in-law, Rachel Allen (wife of son Isaac), a cookbook author and Irish TV culinary personality, teaches at the school. Darina is a culinary celebrity in Ireland, starring in multiple cooking shows and series. She's revising and expanding her 1995 book, Irish Traditional Cooking. Her 2009 book, Forgotten Skills of Cooking, won both the André Simon Cookbook of the Year Award and the Listowel Cookbook of the Year Award in 2010. The award-winning book takes you back to the forgotten kitchen skills no longer necessary if we eat from the supermarket. It’s a Bible for using fresh, local and sustainable food effectively. She won the Gilbeys of Ireland Gold Medal of Excellence in 1991 with Myrtle Allen for her contribution to the Irish catering and hospitality industry. She has appeared on several American television programs, including Good Morning America, and has presented Irish feasts to heads of state such as President Bill Clinton in 1995. 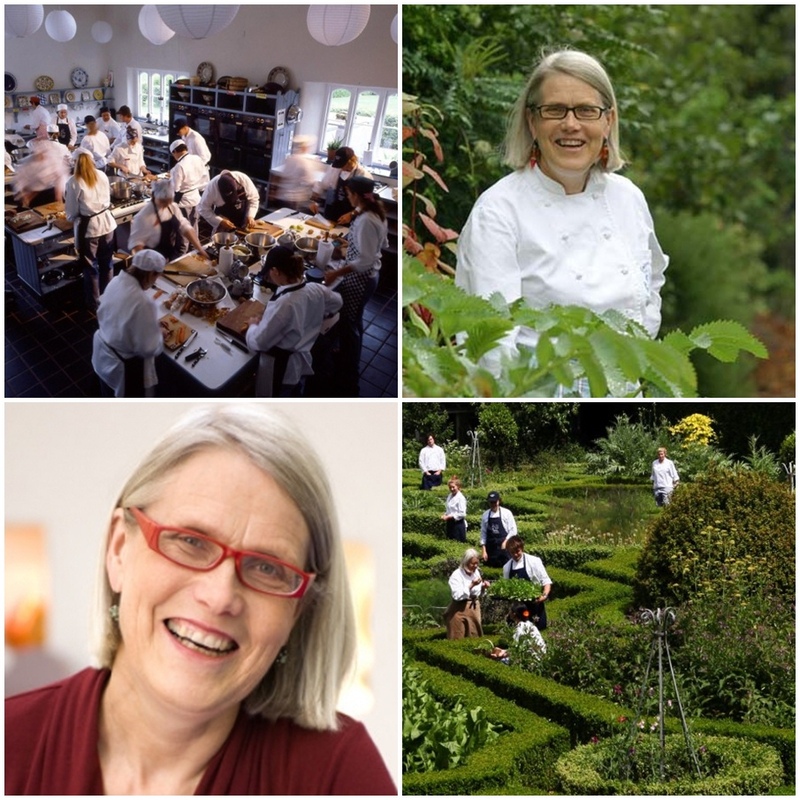 Darina Allen wears many hats, but it all boils down to a commitment to eating fresh, local and sustainable food from the land. Thanks to people like her, it’s still an option. 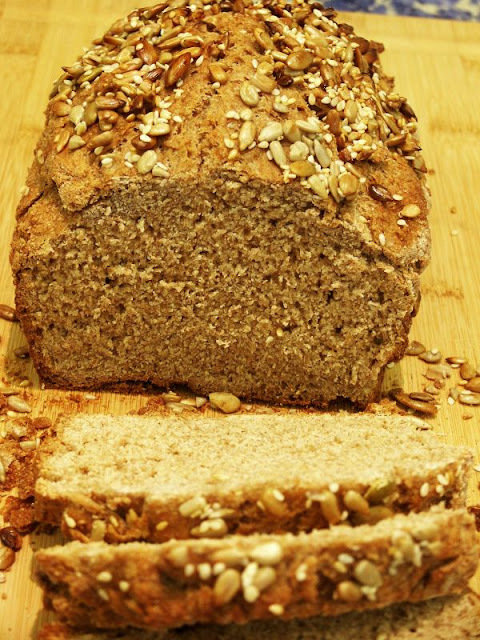 I chose to make Darina's Brown Bread. It's a basic soda bread. 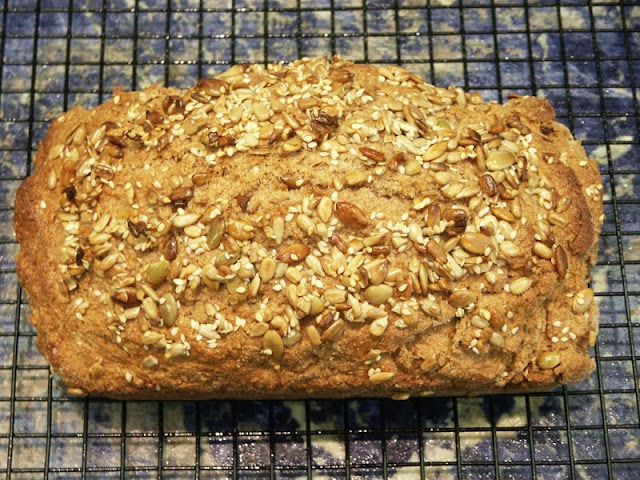 Unfortunately, I've never been overly fond of soda breads....and the one time I made one, I wasn't pleased with the results. So I decided to give this one a try in hopes of a better result. Well, it turned out fine, but I discovered soda breads are just not going to be on my favorite list. Sorry about that. I also made Darina's Champ...but decided to save it for a St. Patrick's Day post. It was simple and divine. Bench notes: Darina says American flour requires more buttermilk than the Irish flour she's used to working with. Depending on the flour you use, this recipe may require more buttermilk (it did), enough to make the bread dough just come together. In the recipe it says the dough should be sticky...so much so that you could pour it into the pan. Mine didn't get that wet and it turned out fine. In addition, soak your seeds in water for a bit, drain and dry before topping the bread with them. This will help prevent burned seeds on top. Put all your dry ingredients – wholemeal flour, plain flour, bicarbonate of soda and salt – into a large mixing bowl. Mix together. Mix your buttermilk, egg, honey and oil in another bowl until well blended. Get a bread loaf pan and pour a teapoon of oil into it. With your hands, make sure all of the inside of the tin is coated with the oil, to prevent the bread from sticking. though, it will go a bit tough in the end if you do. Add another third of the milk mixture and mix again. Finally add the last third and mix. Darina says: "The dough is supposed to be wet and sticky, so much so that you can pour it into the loaf tin. (Mine was not that wet. See bench note above) As I said above, I’ve had varying degrees of wetness in the dough without changing anything obvious. And all of the loaves have worked out really nicely, they’ve just all tasted a bit different. So, there’s no need to panic at this stage. Just go with what you have and it’s very, very likely to turn out really well." Once your mixture is in the oiled loaf tin, pop it in the oven on the middle shelf for between 45 minutes and one hour. Sprinkle seeds on top. Once your bread is nice and brown, and sounds hollow when tapped, leave it to cool completely on a wire rack before cutting.